Meet our judging panel and what they have to say about the student competition. Associate Professor Roslyn Petelin is a reader in writing at The University of Queensland, Australia. She has also taught writing and speech communication at the Queensland University of Technology and Cornell University. 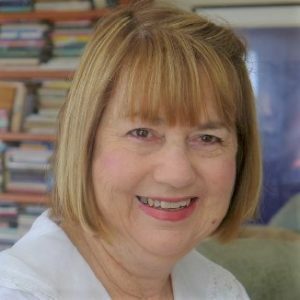 She edited the Australian Journal of Communication 1988-2013 and has written extensively about academic and corporate writing. She developed and has presented a phenomenally successful massive open online course (MOOC) WRITE101x English Grammar and Style for the EDx consortium at Harvard and MIT, which has attracted more than 450,000 students since 2014. She is on several editorial boards and has co-written two books on communication and writing. In 2016, her new book How Writing Works: A Field Guide to Effective Writing, was published by Allen & Unwin. What do you think about the 50 Stories project and the student competition? What a wonderful and worthwhile initiative from the Alumni Friends! I’m greatly looking forward to reading the stories. What was your time at UQ like? As a judge, what are you looking for in a story? A story so riveting/engaging that I can’t put it down till I’ve finished it. Shayne Armstrong is a Brisbane-based screenwriter and author. Shayne and his screenwriting partner S.P. Krause are an award-winning Australian screenwriting duo that Fangoria Magazine described as “Australia’s most prolific genre screenwriters.” Together, Armstrong and Krause have written several features including the mystery-thriller Acolytes (Silver – Best Horror Film Fantastic Fest 2008) starring Joel Edgerton, the horror-action Bait 3d (Australia’s highest grossing film of 2012 internationally), and the supernatural thriller The Darkness (2016) starring Kevin Bacon and Radha Mitchell and directed by Greg McLean (Wolf Creek) for Universal/Blumhouse (Insidious, Paranormal Activity, Whiplash). 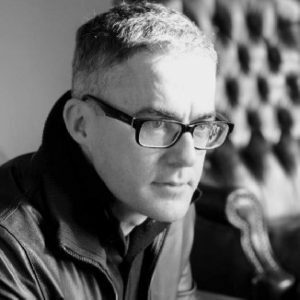 They have also written several screenplays currently in development including the sci-fi thriller Tremula with Michael Rymer (Battlestar Galactica, Hannibal) attached to direct, the supernatural thriller Theo: A Haunting with Kristian Moliere (The Babadook) producing and the sci-fi/thriller SUBMERGED with producer Michael Robertson (Black Water, The Reef, The Pack) to be directed by Alister Grierson (Sanctum 3D). Armstrong and Krause also developed the sci-fi children’s’ series K-9 (a spinoff from Doctor Who for Network Ten Australia and Disney X-D) and wrote and/or conceived the majority of the episodes for the series. They have also written several telemovies and series episodes for Cartoon Network (including the sci-fi/fantasy series Exchange Student Zero). Armstrong and Krause are multiple-award AWGIE (Australian Writers Guild Awards) recipients, winning Best Short Film for the sci-fi thriller Rarer Monsters and the John Hinde Award for Excellence in Science-Fiction twice (the only writers in Australia to have done so multiple times) for the sci-fi TV episode K9 and the Fall of the House of Gryffen and the sci-fi fantasy telemovie Exchange Student Zero. Shayne’s supernatural crime novel Unbidden (co-written under the common pen name TJ Park with S.P. Krause and Greg Boylan) was published by Harper-Collins in 2016. Shayne is also an Australian Writers Guild (AWG) national executive and state representative for Queensland and teaches screenwriting at Griffith Film School (Griffith University) and University of Queensland. What do you think about the 50 Stories project and its student competition? If there’s any I get more excited about than writing it’s reading the work of passionate and up and coming writers. Bring it on. A story that hits me in the solar plexus, rips out my jugular and hammers my unsuspecting brain – all while leaving me grinning from excitement of reading something special from first word to last. No pressure. Michelle Dicinoski is an Australian writer who now lives in Boston, Massachusetts. She is the author of Ghost Wife: A Memoir of Love and Defiance (Black Inc, 2013), the poetry collection Electricity for Beginners (Clouds of Magellan, 2011), and, most recently, the memoir workbook Telling Tiny Stories (2015). She has been the recipient of a Marten Bequest Traveling Scholarship, an Australia Council Emerging Writers’ grant, and an Australian Society of Authors mentorship, as well as two Hedgebrook residencies. 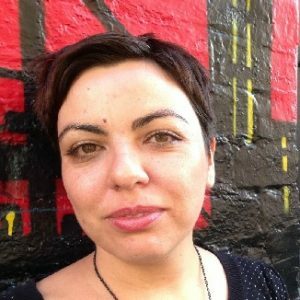 Michelle completed a PhD in creative writing at the University of Queensland in 2010 and has taught writing at various universities and colleges since then. You can find her online at michelledicinoski.com. I love this project, and I’m really looking forward to reading stories about diverse experiences of UQ. My time at UQ was wonderful because of what I learned and the friends I made. You can read more about some of that time in my own 50 Stories story, “Fog”. What I always look for as a reader: something that moves me in some unexpected way. Richard Newsome is a Brisbane-based children’s and Young Adult author whose debut novel The Billionaire’s Curse won the inaugural Text Prize in 2008, going on to be published in the United States, Canada, Spain, Germany, Italy, Poland and Turkey. The final novel in the six-book series, The Curiosity Machine, was published in late 2016. 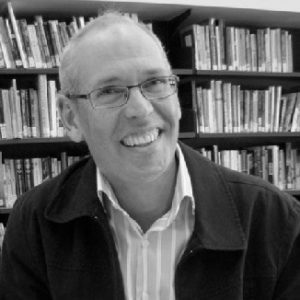 Richard also completed his PhD in Creative Writing at the University of Queensland in 2016. What do you think about the 50 Stories project and it’s student competition? I’m lucky enough to do some teaching in Creative Writing at UQ and some of the student work I’ve read lately has been exceptional. I can’t wait to see what this project is going to unearth. My yardstick is professional jealousy. I want to read something that makes me crimson with rage that I hadn’t done it myself.